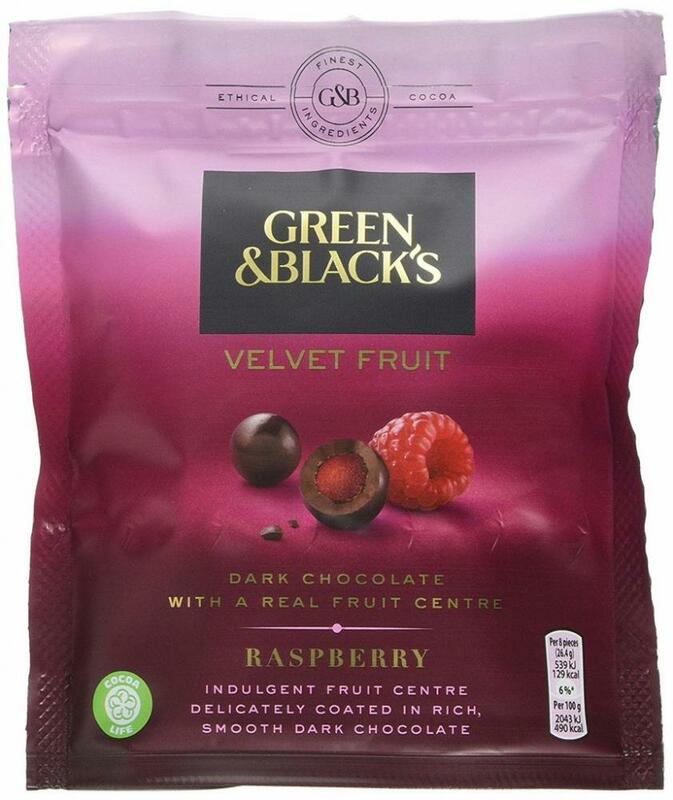 Green & Black's create delicious ethically sourced chocolate from the finest ingredients Velvet Fruit expertly combines Green & Black's smooth dark chocolate with a real fruit centre. The mouth-watering taste of zingy raspberries balances perfectly with the rich chocolate, bringing a uniquely indulgent chocolate experience. Green & Black's Taste Specialists have crafted this dark chocolate using the delicate character and soft texture of the finest Ghanaian cocoa balanced with sweet Madagascan vanilla. All Green & Black's chocolate is free from artificial colours and preservatives.